Leadership is big business. Between the books, workshops, conferences, and consultants, so much money is poured into that industry by people who want to become better leaders. It makes total sense. Leadership is integral to any endeavor. Any time people are gathered around a common goal, it’s going to require some level of leadership—even though leadership can follow a number of different models. 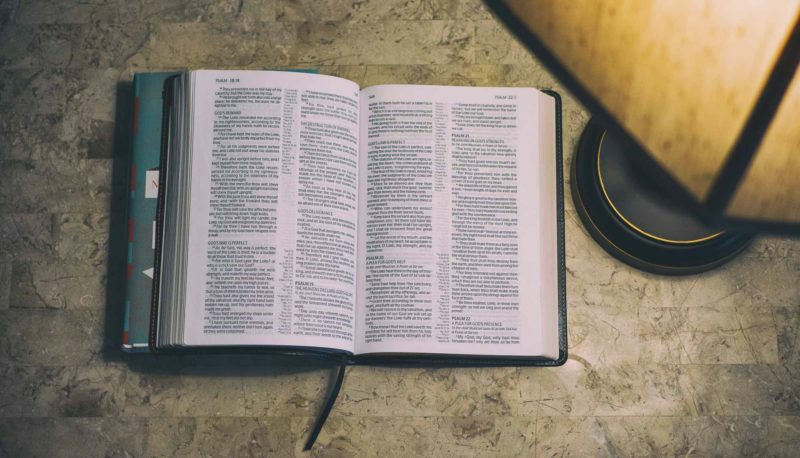 While churches and Christian organizations have a lot to learn from their secular counterparts, it should only be after they get a firm grasp on the biblical view of leadership. It doesn’t take too long for Moses’s father-in-law, Jethro, to see that Moses is in way over his head. The Israelites have been brought out of Egypt, and all of Moses’s time is now being spent mediating their squabbles and issues. Jethro’s advice is to delegate trustworthy men to even out the burden. Quality leadership looks for and empowers other leaders. The old adage—if you want something done right, you have to do it yourself—is nonsense. You’re not a better leader if you’re doing it all yourself. Walking with God requires an intimate, prayer-filled reliance upon him. Christian leadership is truly impossible if you haven’t prioritized fostering a deep spiritual sensitivity. There are so many temptations for leaders. If they’re not careful, they’ll end up putting their trust in themselves or their strategy. And if they’re doing well, they’ll take delight in it. It seems that the more successful you are as a leader, the more danger you’re in. Successful or not, a leader’s trust and delight should always be in God. Don’t be distracted by others’ success, even when it they’re succeeding in their wickedness. Developing patience, trust, and stillness before God will give you the stability you desire—and he will come through. Godly leadership is grounded in righteousness, and righteousness is its own reward. Sometimes it might feel like your leadership skills would be better compensated in another venue, but you must trust that the Lord will honor your work and sacrifice. Jesus tells us that the things that come out of someone’s mouth originate in their heart. (Matt. 15:18) A leader needs to pay attention to the things they say because their words are an indicator of their spiritual condition. A good leader’s words will bring light and life. As we saw in verse #6, our words are a strong indicator of our heart’s condition. It’s important that we pay attention to it because strong leadership will come from the integrity of our hearts. As we know from David’s history, this doesn’t mean that we’re always perfect. But that we’re quick to repent when we realize we’re off track. We all know the heart is just a blood-pumping muscle. Biblically speaking, the heart represents our emotional, intellectual, and moral center. We need to protect it because, as the Proverb says, everything flows from that center. Our spiritual condition reveals itself in our actions. A leader understands this and protects their spiritual core at all cost. You can’t underestimate the power of leadership. To the writer of Proverbs 11, the nation they were talking about was Israel—God’s people. The church needs guidance, too. Without strong leadership, a church cannot stand. But as the number of legitimate and godly advisers grows, the stronger she gets. Leading requires integrity. If you want your leadership to have deep roots which will eventually lead to healthy fruit, you need to weed out compromise and short cuts. If you want to increase your influence, you’ll invest in your abilities. The more skilled a leader is, the more they’ll find themselves in demand. Leaders grow. Hopefully you didn’t aspire to leadership to walk an easy path. Leaders are needed when the road gets rockiest and the path is unsure. A leader’s metal is truly tested in the toughest moments. Resources don’t last forever. Money gets spent, volunteers move on, and facilities and systems break down. The church needs leaders who are keeping track of these resources to make sure they’re plentiful—and healthy! Bad leadership is terrible for an organization and demoralizing for the people under it. Poor leadership needs to be dealt with quickly and strongly because if it’s allowed to continue, it can undermine everything. An organization finds its security in the strength of its leadership. When it is uncompromisingly focused on doing justice, everything flourishes. When they begin looking for ways they can benefit from their position, things begin to fall apart. Leaders find themselves in difficult situations and, if their attention isn’t fixed on Jesus, it’s easy to get dismayed. Because leaders find themselves under fire so often, it’s imperative that they are constantly growing in their awareness of God’s empowering presence. Face it—you’re fallible. You don’t have all the answers, even if everyone thinks you do. Another reason we need to be investing in our spiritual sensitivity is because as soon as we start trusting in their own wisdom, we’re sunk. Sometimes a leader’s struggle isn’t just about remembering that God is with them. There are times that it’s a struggle to believe that you’re in the right place. In the thick of it, it’s easy to believe that you’ve made a huge mistake. It’s important to recognize that God has prepared you for leadership. As long as your serving faithfully, you can trust that he’s preparing to deliver you. Over and over the Bible is trying to tell us that spiritual awareness leads to greater insight. A strong leader prioritizes spiritual discipline because they know that their connection to God is where they derive their stamina, strength, staying power, and insight. Without that connection to God, you’re just a manager. The golden rule isn’t particular to Christianity, but Jesus adds a new wrinkle to it. Instead of it being a prohibition (don’t do to others what you don’t want them to do to you), Jesus instructs us to do for others what we wish they would do for us. This should mindset should epitomize all of our leadership. After all, it sums up the whole law. This is another strange addition to the world’s leadership lexicon. If you want to be great, you must humble yourself. Christian leadership isn’t about standing above everyone, it’s about serving them. If you ever feel like you need a little motivation and incentive to keep plugging away, remember that the Lord could return at any moment. We don’t want him to find us slacking off. When people aspire to leadership, it often stems from a hunger for significance. This is a dangerous reason to seek leadership because once you get it, you’re likely to abuse it. Jesus adds to the idea that whoever wants to be great must be a servant, but he adds a new component. The higher you want to climb, the more of a servant you need to become. If you want to be at the front of the pack, you need to be the slave of all. Spiderman says it well, “With much power comes much responsibility.” Jesus would totally agree. The more authority and influence you have the more that’s going to be required of you. Every promotion and growth in leadership needs to come with sober reflection. Don’t fall into the trap of avoiding things that are beyond your ability. The sooner you get to a place where you’re no longer relying on your strengths, the sooner you’re going to see God doing amazing things. As long as you’re in your comfort zone, your leadership is compromised. We’ve already seen Jesus comparing leadership to servants and slaves. Here he adds another simile. The greatest should be like the youngest. In this culture, the youngest is the least important person in the family. They’re not getting the attention, the blessing, or the inheritance. Jesus says that if you want to be great in the kingdom, you can’t focus on what you’re going to get out of the deal. Jesus calls John the Baptist the greatest person that’s ever been born. (Matt. 11:11) This attitude had to be the reason why. John wasn’t interested in promoting himself. Even though he starts building up a lot of notoriety, as soon as Jesus comes on the scene, John takes the back seat—eventually losing his life. Our attitude needs to be similar. Leadership isn’t about building a name for ourselves, it’s about amplifying Jesus’s name. One of Jesus’s last object lessons was his willingness to wash the disciple’s feet during their last meal. This wasn’t some empty, symbolic gesture. It was a service that needed to be performed. It was something a servant would typically do. Jesus isn’t asking his followers to humble ourselves in grand and figurative ways. He literally wants us to get on our hands and knees and serve those who follow us. As leaders, we have two major jobs: to watch over those under our care and to watch over ourselves. If our attention is only on those we’re leading, we’re not taking care of or own needs. We need to make sure that we’re healthy if we want to adequately lead others. Even though Paul isn’t speaking to leaders, I can’t imagine a more leadership-appropriate message. 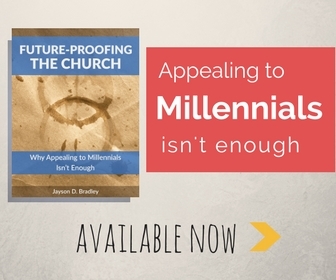 Church leadership is full of tragedy and triage, one can easily become disheartening. Our perseverance is uniquely tied to our belief that God is already at work alongside us reconciling the most difficult situations to himself. This is the leader’s rallying cry. There’s always some opposition, and it doesn’t just come from without. It’s important to remember that if you’re truly on God’s side, you don’t have to be afraid of resistance. Of course, that doesn’t mean that a good leader ignores opposing voices. Hearing objections can be a great way to check your plumb line and make sure that you’re on the right track. But once you’re certain, move forward. A leader is part of an organizational structure. It’s not a more important or more integral role than anyone else plays. It’s so important to recognize that a leader isn’t above anyone else, but works beside them to meet the everyone’s goals. The system operates efficiently when everyone is using the gifts they were given to fulfill their role. Your job as a leader is to equip and empower them to bring more and more of their gifts to bear on their position—and by doing so, you’re leading more diligently. A leader works hard making long-term energy investments that they won’t see an immediate return on. It can be draining to be planting seeds with the hope that they’ll grow into something majestic. A church or organization doesn’t become efficient or productive overnight, so a leader needs to be committed to the journey. The struggle for leaders who grow weary isn’t simply that they give up. It’s that they shift toward a more autocratic, authority-driven style of leadership trying to increase the rate of change. And in the end, the structure that they’re hoping to fix is completely broken. The the church to become a mature community that expresses the fullness of Christ, everyone has to be pulling together in the same yoke. A church shouldn’t have a top-down organizational chart. It should be everyone harmonically working together to ensure that new believers can begin serving as well. The key to biblical leadership lies in keeping your eyes on the goal. The goal is to worship God by serving others. The only way we’re going to be able to do that correctly is if we value them the way Jesus did. The role of a leader is full of snares: self-aggrandizement, posturing, greediness, empty ambition, etc. The only sure way that we can serve God while avoiding leadership’s pitfalls is to value people above ourselves. Too often people quote Philippians 4:13 as if it stands alone. But Paul is setting himself up as an example of contentment in leadership. We can’t look at our current experience to gauge God’s pleasure or the effectiveness of our work. Sometimes we will experience comfort and sometimes we will suffer want. The key is to find our contentment in serving well, and avoid judging our success by looking at our situation. Is this a leadership specific verse? No. Is it important that leaders have this reminder in the back of their minds at all times? Absolutely! When leading gets difficult (and it will) and you want to throw in the towel (which you will), you need to remember when and how you were called to lead, and know that God is going to see you through. 38. What are the expectations of a leader? What’s a Pastoral Sabbatical and How Should You Spend One? Thank you for the leadership essentials you have outlined. How can I continue receiving more of these messages?